Woohoo! Keep on cooking in there Baby C! Awww... you looks so cute and little. I will be 27 weeks on Sunday and I feel big and lumbering already. Yippee. I found by 30 weeks I could take a breath and start to enjoy my pregnancy (while on bedrest but that was fine). That's great :) Looking at the weeks ahead this ones birthday is going to be really close to the girls. What a crazy week of birthdays you're going to have in the years ahead. congrats to you and the family. Billie, I have been away from the blogging world for awhile. I am now just seeing that you are expecting and I feel so very happy for you! Wishing you a healthy pregnancy and healthy baby. I will for sure be checking back here often. Also, glad to see the girls are doing so well. Hi, I've been following your girls' adventures for awhile but this is my first comment. Welcome to the third trimester! Just stopped by after awhile! Congrats on 27 weeks!!! Wonderful news!! I'm a total stranger but I've followed your blog for years. I'm so inspired by your girls, and so excited for Baby C! 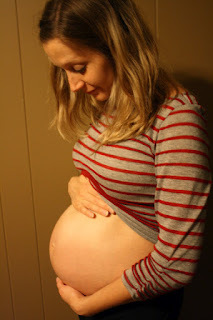 I've been checking for Baby C updates like crazy for the last few weeks because I think your due date is approaching . . . wishing you and your family the very, very best! Have a happy birth. Best of luck.